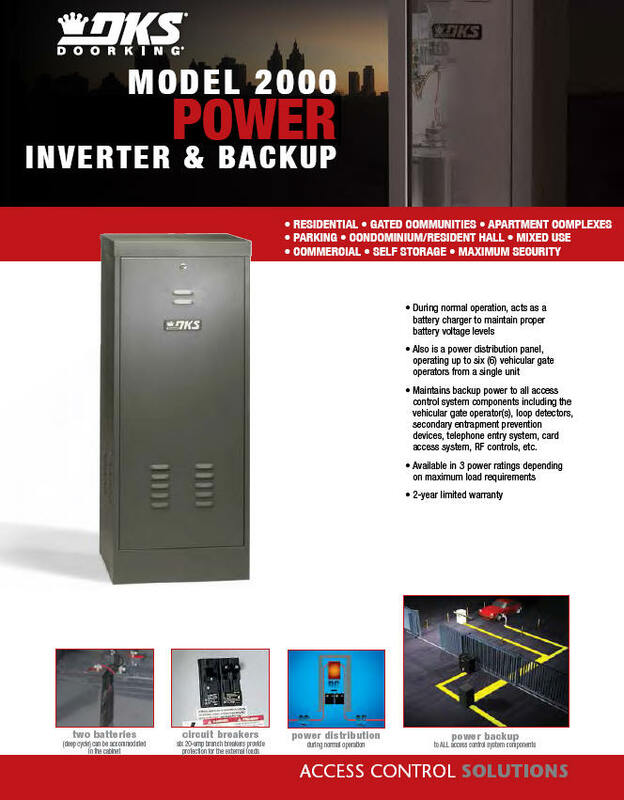 DoorKing's Power Inverter and Backup systems are designed to provide backup power for your vehicular gate and access control system when primary (AC) power fails. 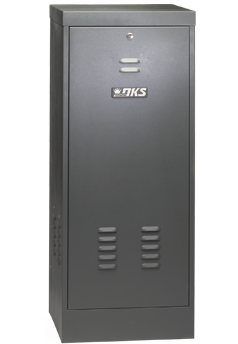 These systems convert DC battery power to AC power to keep your system operable at all times. 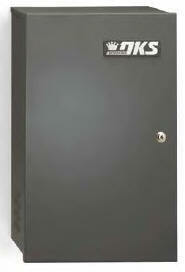 The Model 1000 is designed for a single gate and access control system. 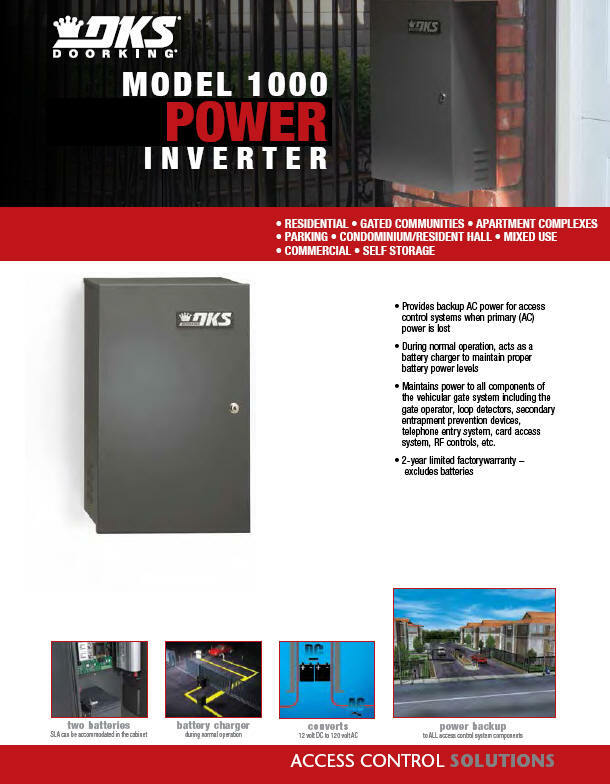 The model 2000 is designed for complex systems with up to six (6) gate operators.